Attending conferences is a key part of professional and business development in many industries. All professionals, from bankers to psychologists, are expected to participate in conferences at regular intervals. Some of the most prestigious events attract a huge number of delegates from all over the world. As such, they can be extremely busy affairs and for attendees, the sheer amount of information on offer makes it very difficult for them to take it all in. A conference is essentially a very large meeting whereby a group of people with a shared interest gather together to exchange information on a number of prearranged topics and take advantage of the networking opportunities on offer. There is likely to be a keynote speaker as well as other oral presentations. At the end of each session the audience will be invited to participate in question and answer sessions. In some cases it might not be possible to attend every single session at a large conference – delegates may arrive late or be forced to leave early and miss hearing key presentations. It is also difficult for attendees to remember every single piece of information they heard during a multi-day conference, especially if the subject matter is not directly related to their field of expertise. Therefore, it can be enormously helpful to be given a full transcript of every session from the conference, including the question and answer section. Transcribing conference sessions requires a certain amount of common sense. Whilst it is essential to accurately create a transcript that includes everything the speaker says, it is not helpful to include every little bit of speech. For example, some speakers may pepper their presentation with unnecessary filler words and conversational pauses. These are a natural part of speech, particularly when someone is put on the spot with a difficult question, but it is unnecessary to include this type of conversational filler in a transcription. An intelligent transcript will remove them as a matter of course. Telephone conferences are used when participants are unable to attend a face-to-face meeting. Instead of travelling huge distances, participants dial into a pre-booked telephone conference line and a group discussion is held in real time. Telephone conference transcription takes away the need for each individual to make notes about the key points of discussion. When several people are talking, sometimes all at the same time, it can be very confusing, whereas recording the conference and then transcribing the audio file will provide each participant with a clear record of the meeting. 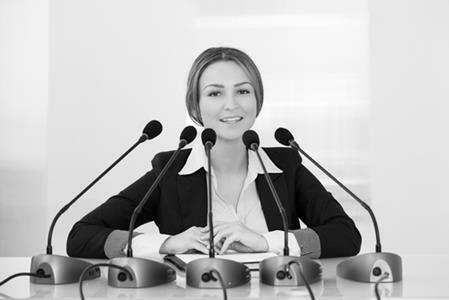 Alphabet have many years’ experience of all types of transcription services, including conference transcription. If you would like to learn more about how we can help you, contact us today.